Rinse the fresh blue cultured mussels in tap water. Add fresh blue mussels, cover and steam over high heat until open (5-8 minutes). Remove from heat, reserving 2 tbsp of cooking liquid. 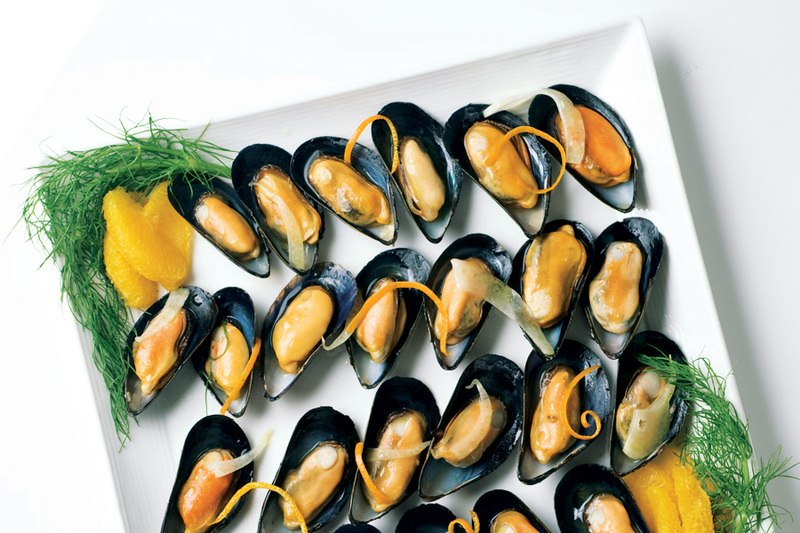 Remove mussel meat from shells, reserving half shells. In a bowl, combine reserved liquid, oil, lemon juice, garlic, parsley mixture and tomatoes; add fresh blue mussels and stir gently.